Here are a few pointers for you to think about when booking your holiday, to ensure that everything runs as smoothly as possible. These Holiday Booking Tips will ensure, from speaking to one of our holiday specialists to catching your flight home, your holiday will be all your imagined and much more. This will play an important part of your decision making, as not all destinations have year round good weather. The month you have chosen may not be the best time to visit your chosen destination. If you are really looking for a ‘once in a lifetime’ holiday and have your heart set on a specific country you may have to set your dates around your destination. The worlds weather patterns are forever changing and there is no traditional wet or dry season anymore. Speak to one of our expert holiday consultants for more advice. At Pure Destinations we offer many worldwide destinations with budgets to suit everyone; from the elegant and luxurious to the best value for money hotels. You don’t have to spend huge amounts to ensure you have an unforgettable holiday. We also advise to make sure you have enough spending money to enjoy the little luxuries that may come along. A lot of couples want to go away for 14 nights but have budgets that more likely would get them a 7 night holiday. Our advice is always quality over quantity. This is really important when considering your choice of holiday destination as you need to know what you both want from your once in a lifetime holiday. If you both enjoy beach holidays and just want to relax, then a multi centre trip round Asia is not going to be right for you. Likewise if you like activity holidays, being able to walk about and meet and experience the local culture, a paradise island in the Maldives won’t be ideal. Ask about special holiday offers on at the hotel that you are considering. Holidayers can expect on certain hotels from; Free room upgrade, free board basis upgrade, free massages and free nights. Please ensure you have a minimum of six months validity on your passport from the date of return. Also ensure that you completed any necessary visas that may be required. Travel insurance is an essential part of your holiday. 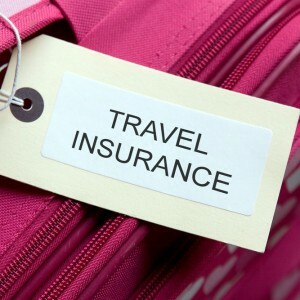 Travel insurance can cover you for illness abroad, cancellation and loss of luggage. Please ask for more details. The most important thing to remember!